Well since our last post we were in NUIGalway for Akumakon. The roads down were pretty icy but I’m glad to say that we made it safely and what a great con it was. We really enjoyed meeting all our customers and having the opportunity to print some of your custom t-shirts. In Closet Geek news we have recently signed up a number of great “Featured Artists”. These artists great artwork will be available on the Closet Geek site for the next year. Each design includes the artists signature and is their own work whether its fan art or original concepts. They are truly awesome and you should go have a look. Click on the pictures to see the artists work! 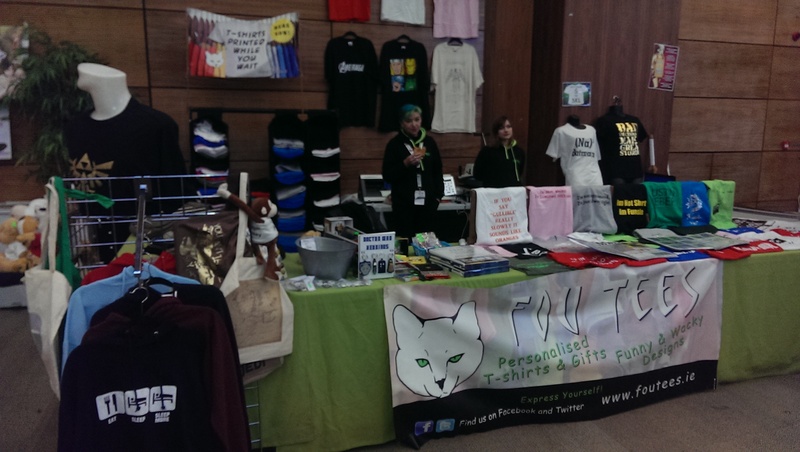 We also attended a massive trade fair in the UK this month so keep an eye out for new products on Closet Geek. Ever wanted your very own t-shirt business? Ever thought that you are one funny mofo and everyone would love to wear your wise cracks across their chests? Or ever drawn something and though damn that is a fine piece of work and would look amazing on a t-shirt? Well did you know that you CAN! That dream of seeing your friends, family and even people you don’t know wearing YOUR designs can be a reality. With a Fou Tees affiliate site you can set up your own FREE website to see your very own t-shirts! We aren’t responsible for the designs on your site (that’s your job silly) but we are responsible for almost everything else! We will even pay you for every t-shirt you sell! We love to support artists and designers and even anyone who has a great idea. This is why we have developed an affiliate network of web-shops where you can sell your t-shirt designs. Its so easy to set up we aren’t going to bore you by going on and on but if you are interested in making your t-shirt business a reality have a look here! Finally we are disappointed to say we will not be attending Kaizokucon this year as they have decided not to have us at their event but chin up, check out our On Tour page on our site to see which events we will be attending! Thank you for taking the time to read and we hope you enjoyed it.